BackupToNet is a lightweight automated backup tool for PCs and servers. It relieves users from the headache of backup plans, and schedules to copy data automatically from a PC to local disks or on our secure servers. 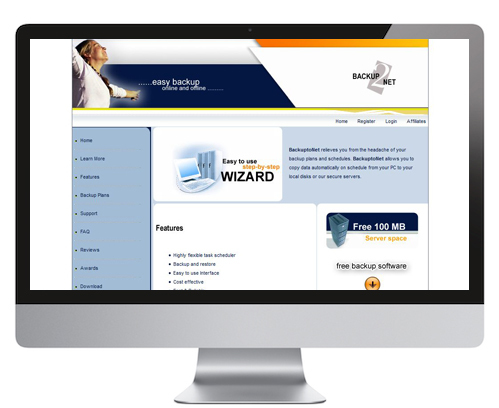 BackupToNet was developed using iScripts Backuper solution. BackupToNet enables users to automatically copy files, folders, and data from a PC to a local disk, as well as secure a server or another secure location of choice. Once data is backed up using the software, it can be restored in case of any loss of data from the backed-up location. Features include local and remote secure server backup, built-in task scheduler, and secure shell data transfer. Following the creation of the BackupToNet site, we decided to enhance our current solution based on customer feedback. From this, we developed and introduced the product iScripts Backuper - a completely private label online data backup platform. The program has two main components: server software and a desktop client for the user. This software is the perfect opportunity for IT companies, MSPs, hosting companies, ISPs, and entrepreneurs to run an online data backup service similar to Carbonite, Mozy, or Xdrive. BackupToNet is created in C# .NET for the desktop client. 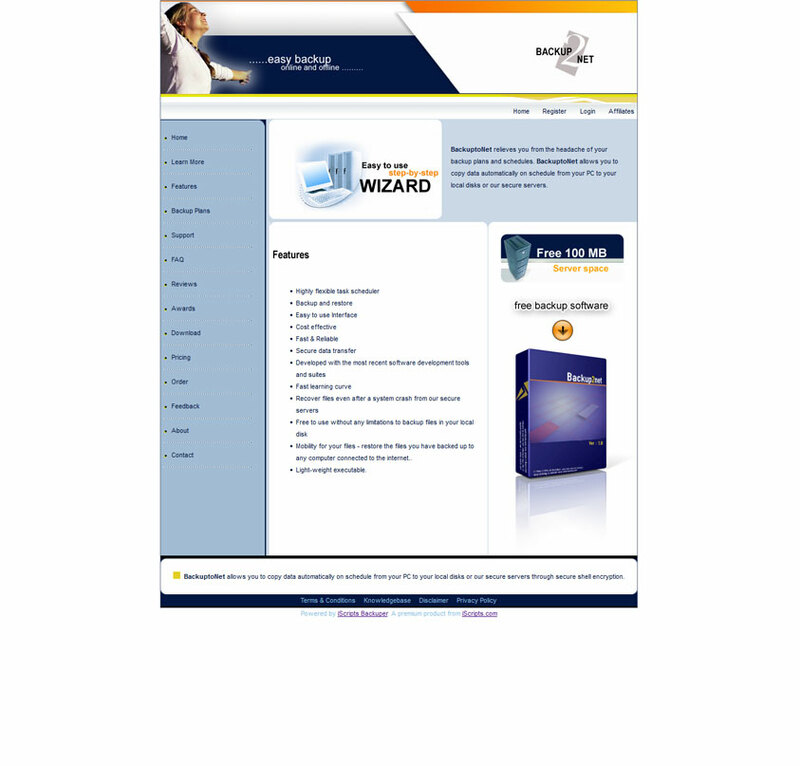 Web servers and user/admin control panels are developed with PHP and Perl. For the backup, a modified version of rsync is used between windows desktop and servers. For encryption, we used the Blowfish algorithm with 248-bit encryption.